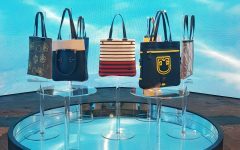 It’s time to ditch them big bags, ladies. It’s enough that we have pains in our shoulders and backs from carrying all the contents of our bathrooms inside our bags. Small bags need to take center stage now. It’s not just good for your body (and your wallet– save yourself the money which would have gone to your chiropractors), it’s also trés chic! The Gucci Soho Disco Camera Bag is not something new in the market. 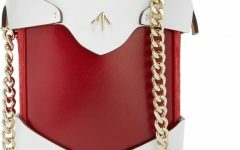 In fact it’s become one of the more popular Gucci bags of late, with it being carried by celebrities and a lot of the younger fashion bloggers– but that doesn’t mean it’s only good for the young ‘uns! The Soho Disco Camera Bag packs in plenty too as I had found out after test- carrying it. I am especially loving the bag in the new bright colors! This bag is perfect for a weekend jaunt to the mall or for travel– it makes you a very good bag contents editor as a result! Yes, discipline happens when you carry this bag :).